I might be the last one to tune in, but I am finally watching the episodes of Dowton Abbey on Hulu. 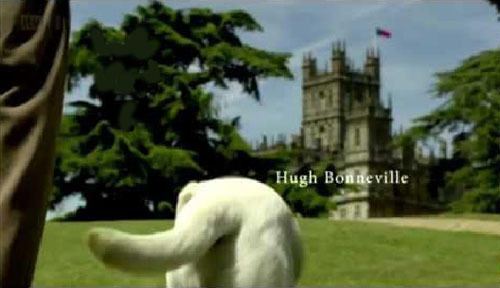 Oh and I thought it was Downtown Abbey til I saw the beginning credits. Being a fan of Jane Austen, Bronte sisters, Merchant Ivory etc.. I love Downton Abbey. 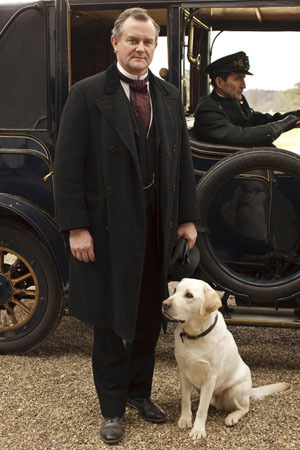 There is so much to enjoy on the show but hands down the best character is Pharaoh... the Crawley's labrador. I love how he shows up in the opening credits. There was even a little bru-ha-ha between the lab actor and the labs that already live the house where the show is filmed!